On the one hand I’m properly terrified about an Alison as powerful as the sun monolithically standing over humanity. On the other hand, hey, new hair! Congrats to Molly and Noelle on their engagement! Welcome back! And she is wearing shoes! What worries me about this chapter is the apparent symbolism. “Where the light is brightest, the shadows are deepest.” quoting Johann Wolfgang von Goethe. 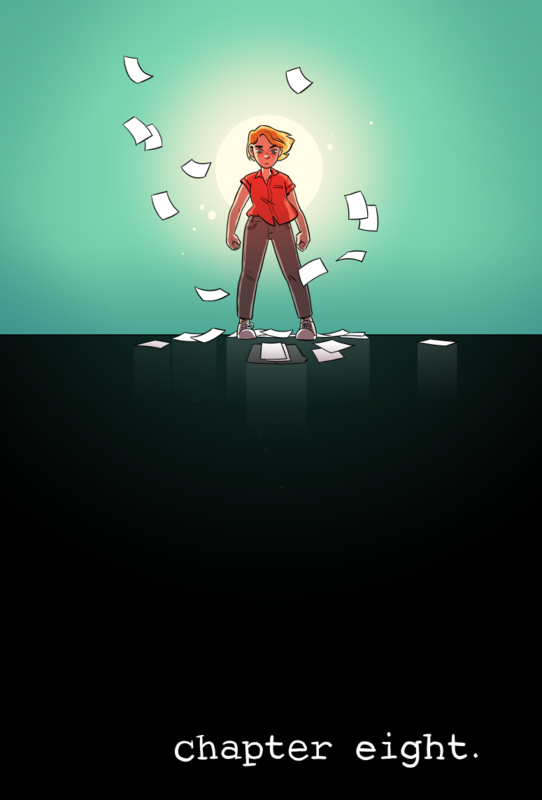 Alison as a bright light standing against paperwork whose reflections become endless pillars into a bottomless dark abyss doesn’t look too good.